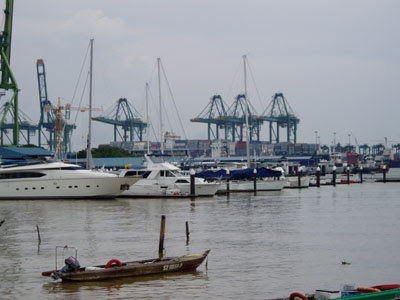 On 30 September 2008 (Tuesday) at about 14:00 pm, I alighted from Jurong East MRT, took a short distant walk to Jurong East Central block 134 bus stop to board bus 176 to go to the Singapore West Coast Park. 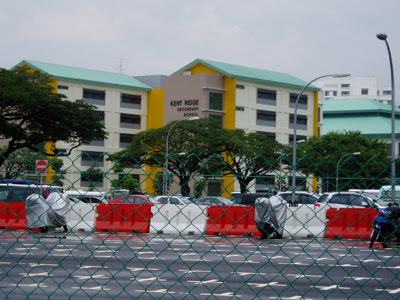 On the Left Hand Side (LHS) of bus 176 that travels along the West Coast Highway road, upon seeing the West Coast Link Remote Carpark (near to Kent Ridge Secondard School building), I rang the bus bell and alighted at B16 bus stop which is directly opposite the West Coast Park Area 3. Buses available at B16 bus stop: 175 and 176. 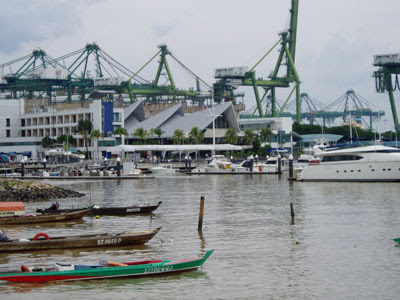 You can also take bus services 30, 51, 143 and 189 to go to the West Coast Park. 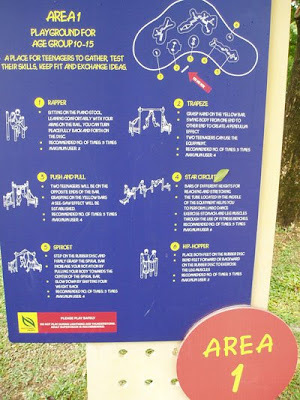 Kindly alight in front of Clementi Woods Park (West Coast Road) bus stop B03 (in front of West Bay Resort Condo) and take about 5 minutes walk through the West Coast Link road to West Coast Park Area 3 (near to the Adventure Playground). 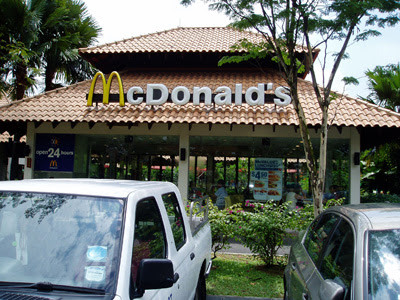 From the B16 bus stop, you can see the McDonald's shop (open 24 hours, toilet available) on the opposite side of the road. 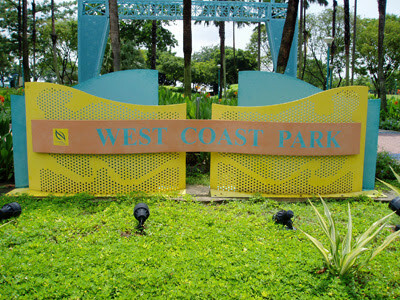 After crossing the road, you will reach West Coast Park Area 3 and will see the West Coast Park sign as shown above. 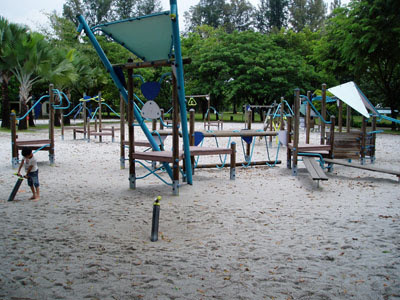 One of the Adventure Playground in the West Coast Park. The Adventure Playground is caters to people of different age groups, from toddlers to young adults. It is the heart and most active zone of the West Coast Park. 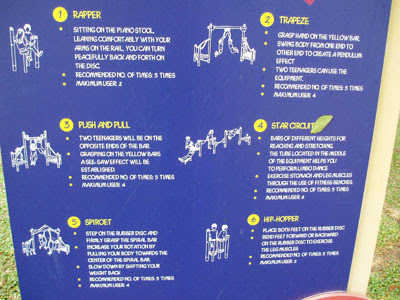 The Adventure Playground description stand. Nearer view of the Adventure Playground description stand. 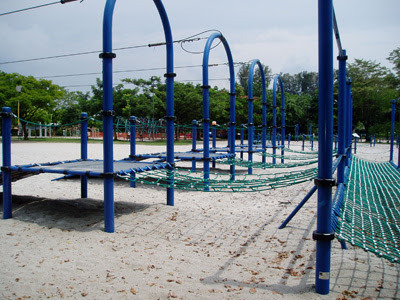 Another types of Adventure Playground in the West Coast Park. 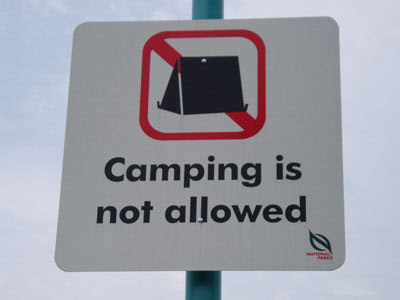 Camping is not allowed at the West Coast Park. West Coast Park sea view 1. West Coast Park sea view 2. West Coast Park sea view 3. 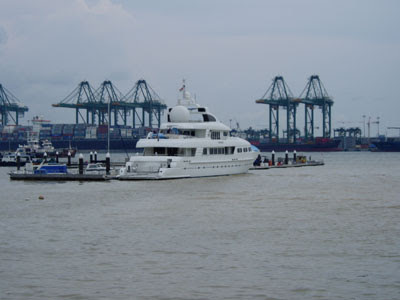 The far view building is the Singapore Yacht Club. Barbeque Pits at the West Coast Park Area 2. After walking to the end of the West Coast Park Area 2, you will see an underpass below the West Coast Ferry road [National University of Singapore (NUS) Kent Ridge Bus Terminal is nearby (about 150 meter) along the Clementi Road]. 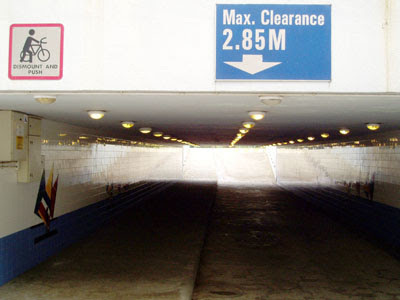 After walking through the underpass, you will reach West Coast Park Area 1. 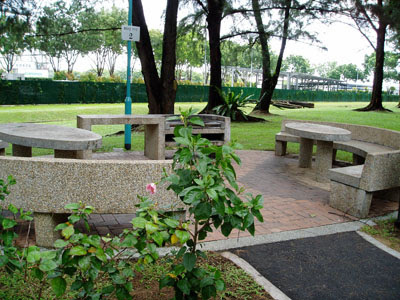 If you like a quiet and peaceful environment, the eastern portion of the West Coast Park Area 1 would be a good choice for park users to rest and relax. Ponds at the West Coast Park Area 1. 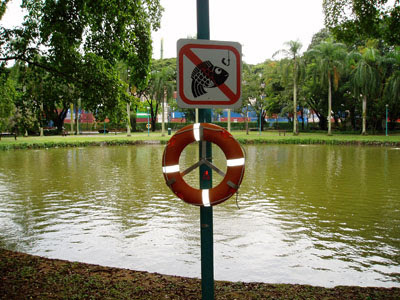 Fishing is not allowed. Even though I stay in the Jurong area for nearly 10 years,I never been to West Coast Park. I may go there sometime in this year.